One 'male' found to be a female; two skeletons are vastly different, but why? Lyuba and Khroma in profile. 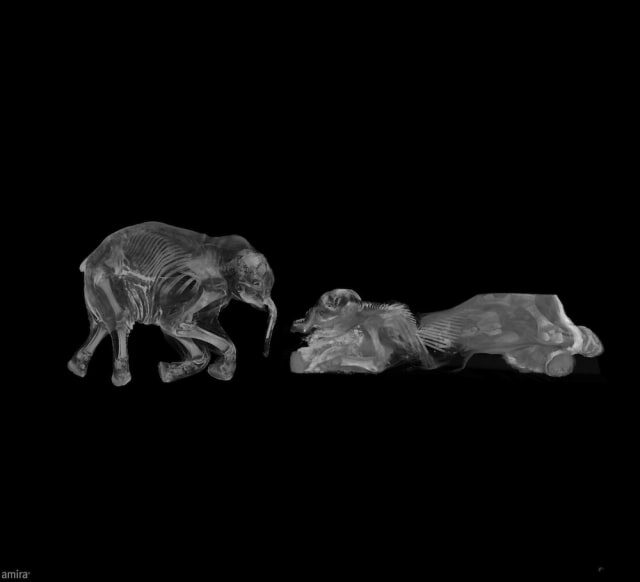 Despite being presumably the same species, the mammoths had very different skeletal structures, perhaps representing evolutionary change in the mammoth lineage.